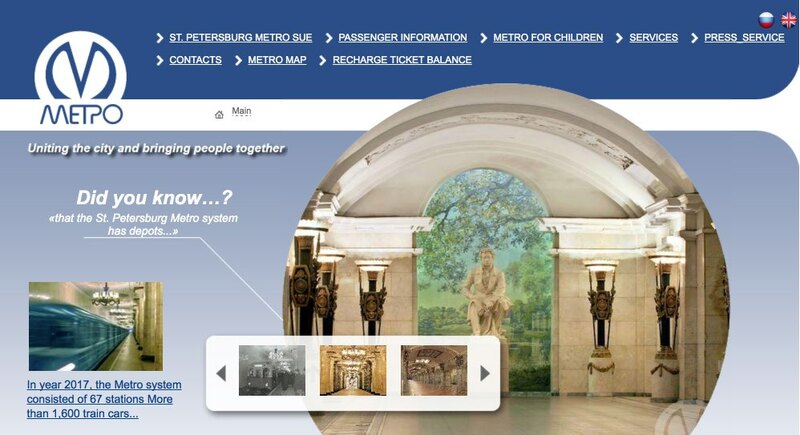 The best way to get around St. Petersburg is by public transport, either by metro or by bus. In this article I will tell you about the transport tickets that are worth buying to move around the city in public transport. In St. Petersburg you can use the public transport and go to places by metro, bus, trolleybus and also by tram in some areas. In addition, there are some minibuses called Marshrutkas, as well as taxis. The best way to get around the city is by using the metro, as it is the fastest transportation method. 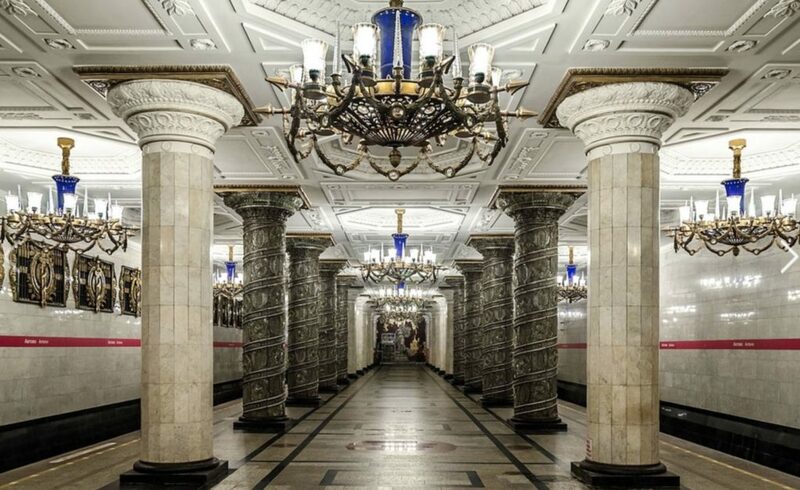 Though the St. Petersburg metro is not as spectacular as the Moscow metro, some of its stations are quite state-of-the-art and very worthy to visit: Ploshchad Vosstaniya, Tekhnologichesky Institut, Baltiyskaya, Narvskaya, Kirosvsky Zavod or Avtovo (see photo below). The ticket cost is 45 rubles. 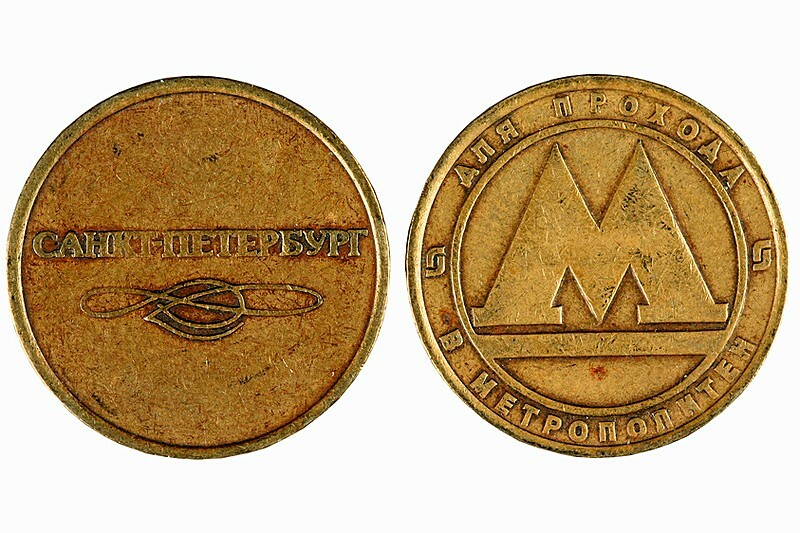 The St. Petersburg metro still uses the token system (coins), which can be purchased at the underground ticket offices of each station. The easiest way to get a token is to go to the ticket offices, pay in cash (if you carry the exact amount, the better) and indicate with your hand the number of tokens that you want to buy. In theory, you need to buy tokens separately if you carry large suitcases, but it is a rule that nobody complies with. You can also buy tokens at vending machines. 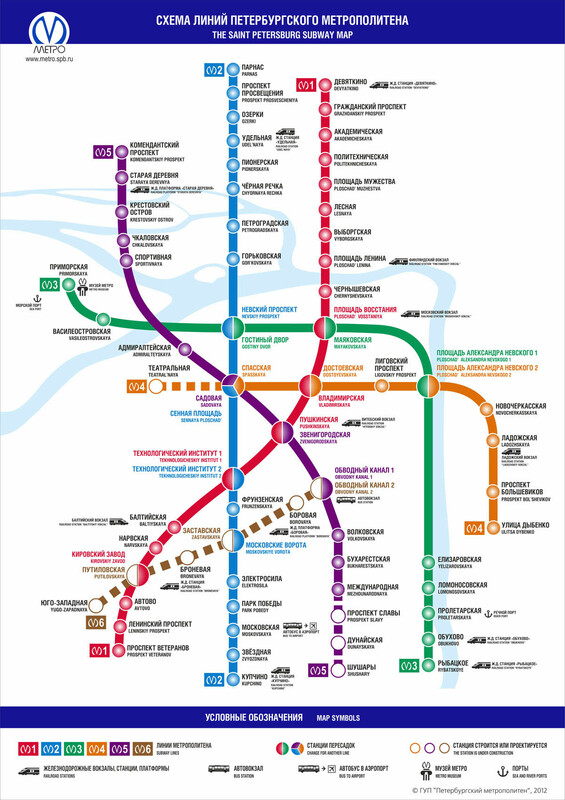 Since the St. Petersburg Metro does not reach everywhere and its network of stations is not very dense, you will have to combine your route with buses and maybe trolley buses or trams. The cost of the bus ticket is 40 rubles and you usually pay it when you get on the bus. There are bus lines to get to some of the city’s tourist attractions, such as Peterhof Gardens or Catherine’s Palace. Option 1: Buy individual tickets. If you are going to be in St. Petersburg for 1-2 days, you are staying at the city’s centre (close to the main tourist attractions), and you are not going to need public transport that much, then probably the best thing is to buy individual tickets every time you use it. Both the Metro token (45 rubles) and the bus ticket (40 rubles) are very economic. This unified ticket will be very lucrative if you plan to make several trips a day. So, if you are staying away from the centre and you are going to be several days in the city, it will most likely be profitable to buy one of these tickets. Option 3: Buy the Podorozhnik card. Just as in Moscow there is the Troika card, in St. Petersburg there is a similar card called Podorozhnik. It is a reloadable transport card that also works on all public transportation systems. You can buy it (and recharge it) at the ticket offices of the subway stations. To purchase the card you must pay a 60 rubles deposit (recoverable if you return it within 45 days from the date of purchase). You can also recharge it online. Each time you pass the card through the lathes, it discounts the price of the ticket: 36 rubles in metro and 31 rubles in any surface transports. These prices are for the first 10 trips during the month (if you make more trips, prices go down progressively). The card has a problem: it’s not possible to recover the balance of unused money from the card. Therefore, you have to recharge it with the approximate amount that you estimate you will use. In short, it is best to make an estimate of the trips that you plan to make in St. Petersburg, in order to determine which travel card is best to buy. 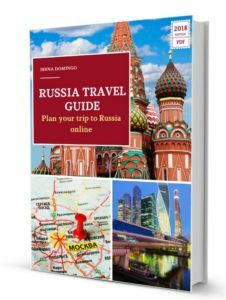 I hope this article has been useful for you to travel around St. Petersburg by public transport. What type of ticket did you use?